Are you eager to join the fray and test your mettle in the forge of eternal combat? Well, Closed Beta has begun, and we wanted to take a moment to offer you new ways to join in on the mayhem in the Nexus through various giveaways. Additionally, we wanted to remind you how you can opt-in for a chance to join us in Heroes of the Storm, or join the battle today with the Heroes of the Storm™ Founder’s Pack bundle! A new era has begun, and with the transition into Closed Beta, we've just introduced Beta Keys as another way to gain access to Heroes of the Storm. If you’d like to have a chance to receive on, all you need to do is head over to our Facebook page and enter our giveaway for a chance to win access to our Closed Beta. 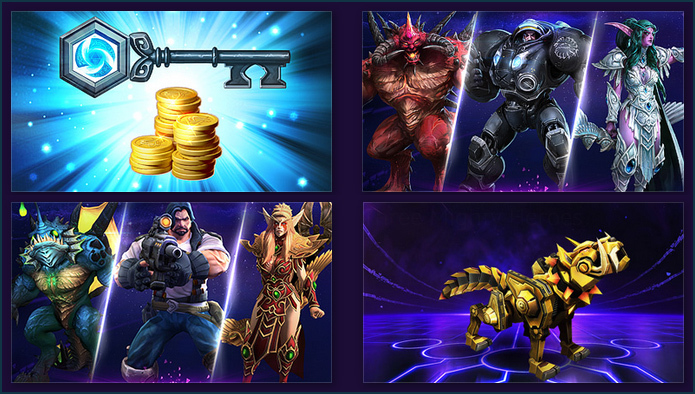 25,000 randomly-selected players located in the Americas region will be chosen to test Heroes of the Storm by February 20, 2015. Please note that this particular giveaway is limited to North American players only. We recently announced this brand-new digital bundle, which gives you an array of exciting Heroes, Skins, and other in-game content to get you started on your path to victory in the Nexus, along with instant access to the Heroes of the Storm Closed Beta test. You can get all of this content and jump into battle now for $39.99—all you need to do to get in on the action is fire up the Battle.net desktop app and click on the Heroes of the Storm icon, or visit the Battle.net Shop. You can find out more information about the Founder’s Pack in our comprehensive Founder’s Pack blog! How Do I Opt-in to Test Heroes of the Storm? If you haven’t opted-in to test Heroes of the Storm yet, now is the perfect time, because we’re continuing to invite more and more players into the Nexus on a regular basis! In order to give yourself the best chance at gaining access to testing in the future, you’ll want to make sure you’ve opted in to Heroes of the Storm testing using the Beta Profile page found within your Battle.net Account. All you need to do is check the Heroes of the Storm opt-in box, as pictured below, and save your preferences. As always, be extra mindful of shady characters who wish to steal your login credentials through phishing attempts, which are often disguised by falsified emails and websites. What’s more, please be warned that any key generators or other offers for a key aside from our list of official giveaways are most certainly suspicious. The best way to ensure an invite is the real deal is to avoid clicking any links. Instead, log in to your Battle.net account and check the Summary section to see if a Heroes of the Storm license has been added to your account. We have more exciting stuff in store, including other epic giveaways, so make sure to stay tuned to our official site. Also keep an eye on HeroesoftheStorm.com, follow @BlizzHeroes on Twitter, Like Heroes of the Storm on Facebook, and subscribe to Heroes of the Storm on YouTube to keep up with all the latest news and updates! 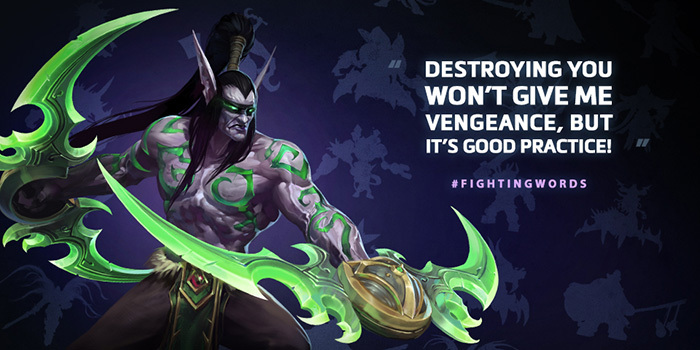 Thanks again for your continued passion for Heroes of the Storm, and we hope to see you in the Nexus soon!